Last week Mesivta Shaarei Adirim, under the leadership of Rabbi Mordechai Elbaum, Rabbi Avrohom Yitzchak Ausband, Rabbi Avi Pekier, and Rabbi Shlomo Caplan, held a Paralience an elaborate parlor meeting presenting the Shaarei Adirim experience. The vision of Mesivta Shaarei Adirim is to imbue its students with self-confidence, motivation, perseverance, and responsibility, so that they may shine in their own individual way and be inspired to succeed in all facets of their lives. Shaarei Adirim uses a unique multidimensional approach to motivate that growth and cultivate success for each individual child. 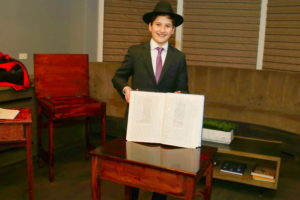 For davening every bachur receives an Artscroll interlinear siddur to be able to better appreciate their davening. The bachurim have a rotation to be the baal tefillah. When learning Gemara, the bachurim are encouraged to write the translation in their Gemara empowering them to be able to review independently. Most of the bachurim have already done so for close to eight blatt of Gemara this year. Bachurim are also encouraged to take on small kabalas to grow in their learning. In general studies, Super Tuesday dinners encourage talmidim to complete their work and do well academically. Wednesday is event day; and the learning is done outside the classroom setting. For example, a field trip to the lake was used to inspire the bachurim to write descriptive essays. Another week a field trip to Aldi’s was used as a way for the bachurim to check the nutritional content of food for Science. A trip to the JCC fitness room helped them learn about different muscles. 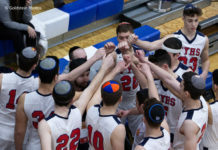 The Yeshiva offers many extracurricular activities as well. In woodshop, every bachur builds his own desk. In music every bachur learns to play an instrument and participates in a marching band. The bachurim have weekly practices at the Chicago Boyz Acrobats’ state of the art facilities pushing them to extend their limits. Additionally, there is rugby, martial arts, kickboxing, and resistance training as part of the curriculum. 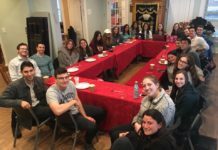 On Tuesday evening, January 9th, over 150 members from across the community joined in a communal support for Shaarei Adirim. The event was hosted by Mr. and Mrs. Tomer Bitton. 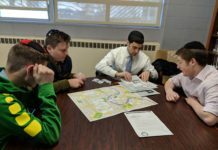 Mr. Bitton has been a strong supporter of the Yeshiva from the very beginning. There was an electrifying energy in the air, and one could almost feel the excitement. 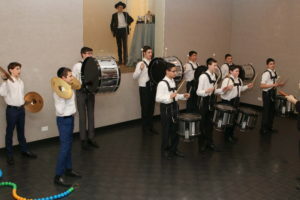 Paralience featured both a marching band and acrobatics performance from the talmidim of the Yeshiva. As attendees arrived they were greeted by the bachurim and shown a beautiful display of the desks the bachurim had built themselves. 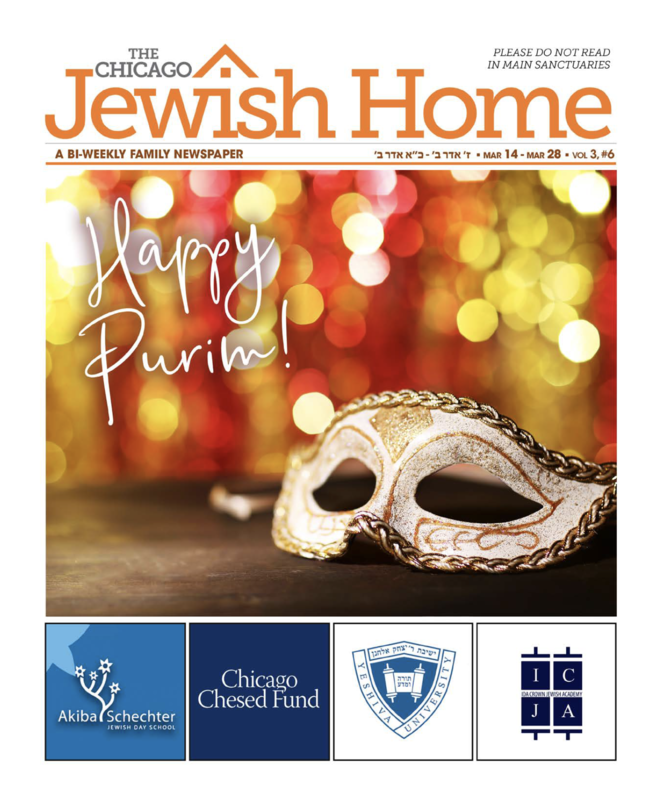 On top of the desks were the Gemeras of the bachurim, each Gemara proclaiming the hasmada of the talmidim which were marked with translation and notes written by the bachurim that showed the progress in their learning. Rabbi Zev Freundlich founder and Dean of Mesivta Shaarei Arazim of Monsey was the guest speaker. 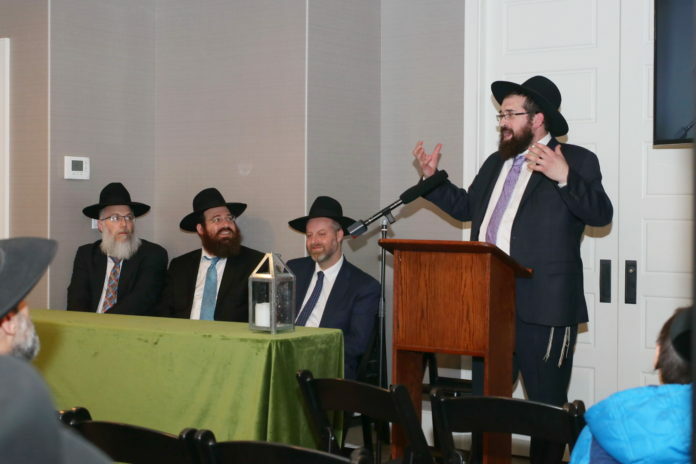 Rabbi Freundlich spoke of the mission of Mesivta Shaarei Adirim– to bring out the untapped skills and talents that the bachurim have and from there the hatzlacha from the bachurim will cascade to all areas of their Avodas Hashem. Then, the marching band gave a resounding performance. Incredibly, one of the bachurim lost a drumstick in the middle and continued to play on beat with only one stick! Afterwards, the bachurim gave an acrobatics performance. Following the performance many commented on the encouragement and obvious teamwork that permitted the performance. But the highlight of the evening was the looks on the bachurim’s faces as they completed their routine. There are no words that could do justice to the look of happy, successful, achieving bachurim! Indeed, Mesivta Shaarei Adirim is a mosad we should all cherish. Previous articleHanna Sacks Students Present Headlines!